I recently had the pleasure of spending an afternoon with the Blackmagic URSA Mini 4.6K camera and went down to Kingston to get a few quick shots of the Kingston Rowing Club base in order to see what this camera can do. The first thing I noticed is the incredible dynamic range the URSA Mini possesses. This entry was posted in Cameras, News and tagged Blackmagic URSA Mini 4.6K Footage, Blackmagic URSA Mini 4.6K EF, Gear, Blackmagic Design on 15th August 2016 by Visuals. Teradek just announced a couple of new zero delay wireless HD video transmitters in their Bolt Pro range - the Bolt 1000 and Bolt 3000, that can transmit up to 1000ft and 3000ft respectively. Both new arrivals in the Bolt Pro range offer significantly improved wireless performance at more affordable prices, while maintaining visually lossless image quality. This entry was posted in Post Production, Accessories, News and tagged Teradek Bolt 3000, Teradek Bolt 1000, Teradek Bolt, Teradek Bolt Pro, Teradek, Gear on 3rd August 2016 by Visuals. 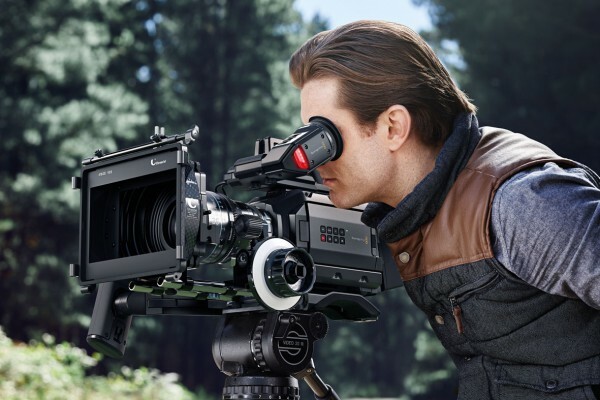 Canon just released firmware version 1.0.4.1.00 for their Canon EOS C300 Mark II, which was announced back at NAB 2016 and adds some significant new features to the C300 II such as Canon LOG 3, reduces shadow noise when Canon LOG 2 is in use and other features. This entry was posted in Post Production, Cameras, News and tagged Gear, Canon EOS C300 Mark II, Firmware Update, Canon C300 Mark II on 29th July 2016 by Visuals. Just like the Atomos and Shogun recently, Atomos has just released another free firmware update which gives HDR capabilities to their beloved 1080p ProRes recorder/monitors the Samurai Blade and Ninja Blade. This entry was posted in Post Production, Accessories, Cameras, News and tagged Atomos Samurai Blade, Atomos Ninja Blade, Atomos 5.2, Atomos HDR, Gear, Atomos, Firmware Update on 28th July 2016 by Visuals. Chinese drone and stabiliser manufacturer DJI just announced their brand new Zenmuse Z3 - the first ever drone camera with optical zoom and built-in stabilisation. This entry was posted in Accessories, Cameras, News and tagged DJI Drone Camera, DJI Drones, DJI Inspire 1, DJI Global, DJI Zenmuse Z3, Drones, DJI OSMO, DJI, Gear on 14th July 2016 by Visuals.